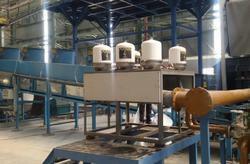 We have a good range models of Trolley Mounted centrifuge which can be fitted to the Oil Tanks of machines directly. Our CK series has inbuilt pump motor assembly and other accessories required for a portable and mobile filtration unit.Centrifugal Oil Filter for Grinding, Honing, Reaming, Furnace, Thermic oil cleaning. 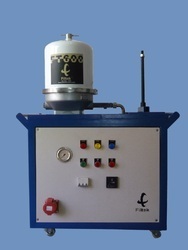 We offer Centrifugal Oil Cleaner (FT200). 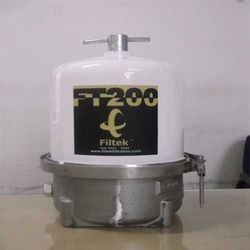 FT200 centrifuge oil filter mainly used for the oil tank capacities from 90 liters to 400 liters. It can separate the finest particles up to 1 micron from the oil. We have good range models of Trolley Mounted Centrifuge Oil Filter which can be fitted to the Oil tanks of machines directly. Our CK series has inbuilt pump motor assembly and other accessories required for a portable and mobile filtration unit. We are engaged in offering Centrifugal Oil Filter to our clients. We supply Centrifugal Oil Filter (CK200). 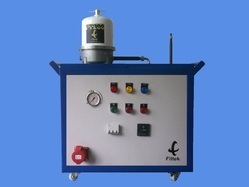 CK 200 centrifuge filter is used for tank capacities from 90 liters to 400 liters. It can separate the finest particles up to 1 micron from the oil. It is available without cut off valve (C.O.V) setting. 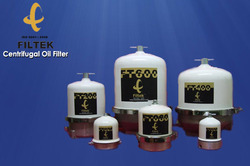 We are engaged in offering Centrifugal Oil Filter (CK400). 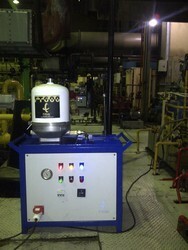 CK 400 centrifuge filter is used for tank capacities from 1000 liters to 4000 liters. We can use multiple centrifuges according to oil volume. It can separate the finest particles up to 1 micron from the oil. It is available without cut off valve (C.O.V) setting. We are providing Centrifuge Filter to our clients. Looking for Centrifugal Oil Filter ?